Our passion for the Icelandic Horse is ever-growing, and the resort owns a large herd of purebred Icelandic Horses consisting of breeding, riding, and young horses with high quality bloodlines. 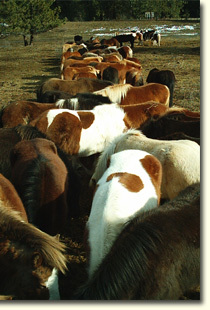 Icelandic Horses are bred as 5-gaiters. They have the three basic gaits: walk, trot and gallop, and two extra gaits: tölt and pace, of which the tölt is most popular. 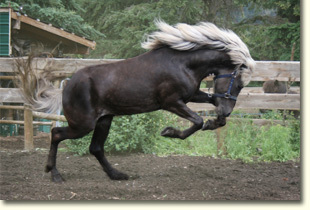 In tölt, the horse moves its legs in the same sequence as in walk. Tölt is a very comfortable and pleasant gait that can reach a high speed. Pace is a gait of speed and power in which both legs on either side move in unison. 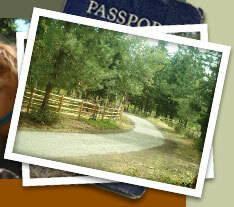 Pace provides a very spectacular sight and a magnificent experience in the saddle. Horses were brought to Iceland by the first Viking settlers during the years 874 - 930. Their boats were small, and only a few horses, the very best, were brought along. At the early stage, import of farm animals was forbidden in the country. Because of this, the original Nordic horse remained as a preserved purebred in Iceland throughout the centuries. To Icelanders the horse was indispensable. The country was rough, and transport without Icelandic Horses was unthinkable. The Icelandic Horse carried inhabitants over wide lava fields and rugged mountain trails. It acted as their bridge over powerful glacial rivers. Travellers counted on its sense of direction and its stamina. The Icelandic Horse was a part of life--being a hard worker and a trusted friend. 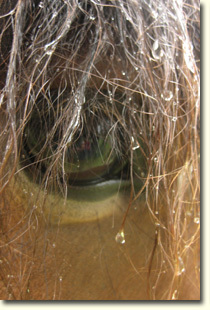 A good riding horse was a symbol of dignity, and a studhorse could be a much appreciated gift. Young and old, rich and poor--everyone enjoyed the talents of the Icelandic riding horses, and no other peoples depended on the feet of their horses like the Icelanders did. The Icelandic Horse has completed its task as a most-needed servant, but has also taken on another no less important task. In our technological age, people turn to nature to relax from the speed and stress of city life. Man searches for his origins, and the Icelandic Horse has proven to be man's best companion in this quest. 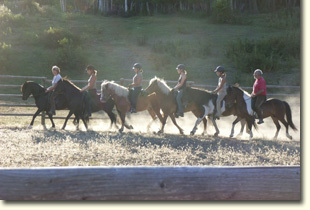 Horsemanship combines healthy outdoor activity with the sport and art of riding, and the number of people who enjoy life on horseback increases steadily. The riders sense the nature of their Icelandic Horses: their temperament, power, suppleness and pleasant character, and they identify with those qualities. The Icelandic Horse has lived and developed in Iceland for over a thousand years. 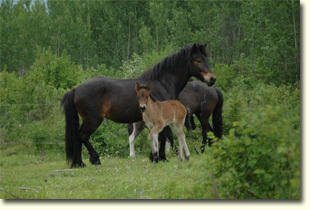 Iceland's nature, sometimes harsh due to volcanic eruptions and other natural disasters, often took its toll on the horse population. Only the fittest individuals survived. This is why the Icelandic Horse is so healthy and strong. It is tough and surefooted, with an amazing temperament and great stamina. 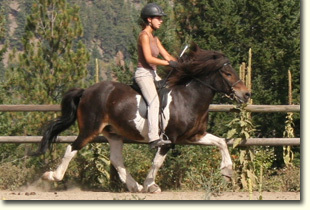 Training usually starts at 4 or 5 years of age, and the horse is fully adult at 7 years. Icelandic Horses reach a very high age and can usually be ridden until they are well over 20 years old.